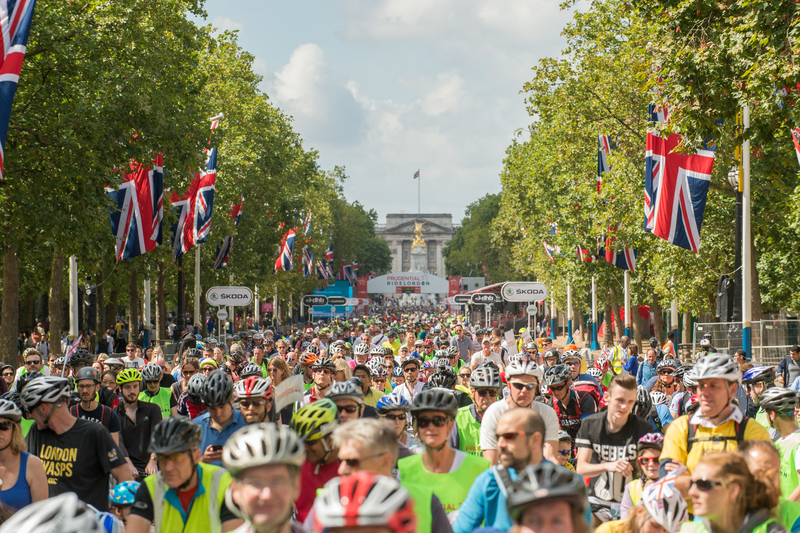 St James's Park, Richmond Park and Green Park played a starring role in the weekend's Prudential RideLondon with over 80,000 participants finishing on The Mall, world record attempts and a wedding all taking place over the two day event. Saturday saw 60,000 pedal their way through central London on closed roads, many taking in the views and enjoying the unique atmosphere before heading to St James's Park to take their place along The Mall ready for the elite women's Grand Prix where Britain's Lizzie Armitstead took third place. Whilst over at the Festival Zone in Green Park fans watched the action live on big screens and were treated to entertainment from mountain bike trials athlete Andrei Burton who, along with his team of world-class trials bike riders achieved seven stunt bike world records live in front of the stunned crowds. On Sunday it was the turn of the endurance racers as 20,000 defied the wind and rain in the London-Surrey 100 via Richmond Park. There were celebrations along the way as riders Gary Watson and Lisa Russell stopped off at Pembroke Lodge to tie the knot, pausing for a quick glass of champagne before heading on the rest of the 86 mile journey. Later in the afternoon as the rain subsided the men's elite got underway in the London-Surrey Classic. Racing through Richmond Park the first riders started to break away and it wasn't long before Sir Bradley Wiggins and the rest of Team Sky started to dominate culminating in a thrilling chase down The Mall and a British one-two in Adam Blythe and Ben Smith to top off the cycling extravaganza! More news can be found on the Prudential RideLondon website .